Ford had launched the all-new Ecosport last year in India and not so long ago, made some changes to its variants. Now, it is planning to launch a new top-end variant of the car called the Titanium S. Extremely clear spy pics of this new version have been shared recently in a story published by TeamBHP. 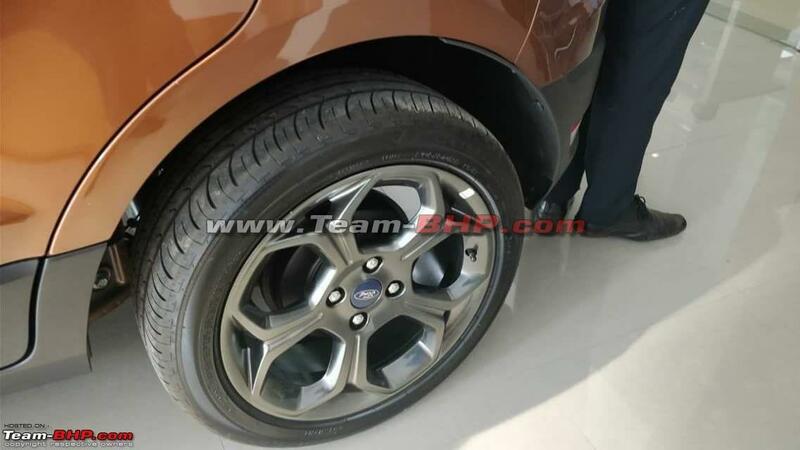 The new Ecosport Titanium S will sit above Titanium +, which is the current top-end variant. 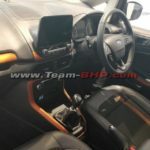 It is also expected to get a 6 speed MT and the speculation is, it will only be offered with the 1.5L Dragon petrol engine. The 1.5L 3 cylinder Dragon petrol engine develops 123 PS power and 150 NM of torque. With the new 6 speed MT, Ecosport is sure to become sportier and will help Ford to target the driving enthusiasts. In addition to 6 speed MT, Ecosport Titanium S will feature a host of changes both inside and outside. 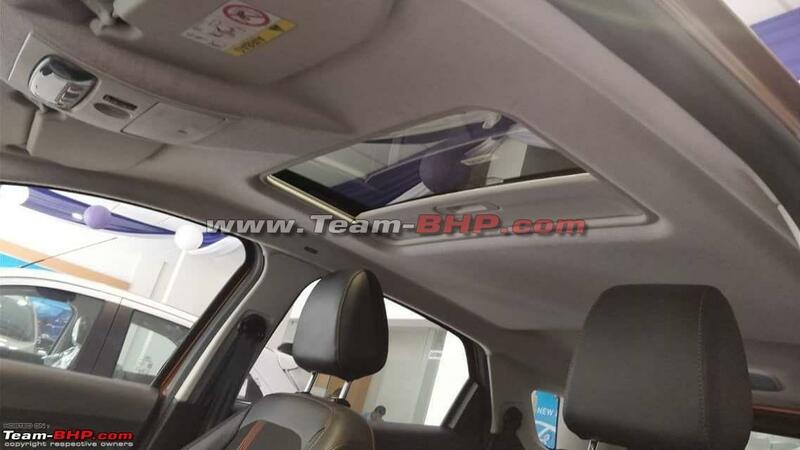 It will sport a Sunroof, something which is becoming very popular in the Indian market. The new variant will sport an all-black interior, adding to its sportiness. 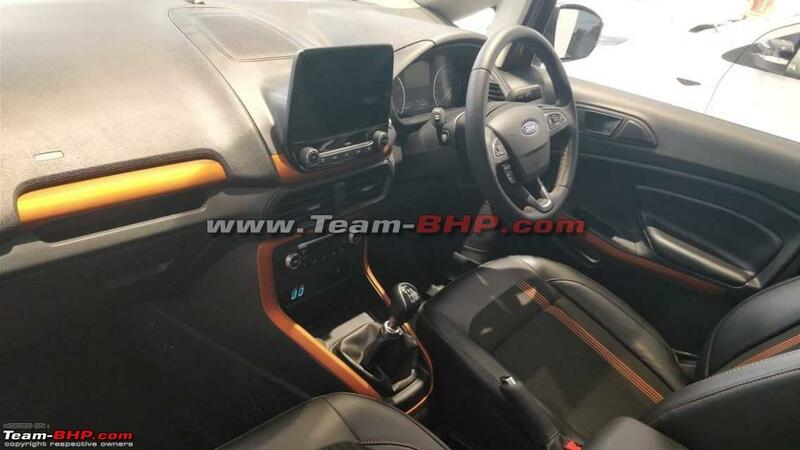 The car will feature orange inserts on the dashboard above the glove box and just below the infotainment screen. These can also be seen on the door handles, seat upholstery and around the centre console, which hosts the climate control buttons, extending up to the back of gearstick leather cover. Speedo and tacho meters will feature silver surrounds, not seen on any other variant. A newly designed, darkened front grill. Smoked headlamp units with projectors and LED DRL’s. All backed out roof and roof rails. 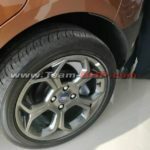 Finally, 5 spoke alloy wheels with gunmetal finish. There is nothing known about the pricing of the Ecosport Titanium S but, we can expect it to come at a premium above Titanium +. 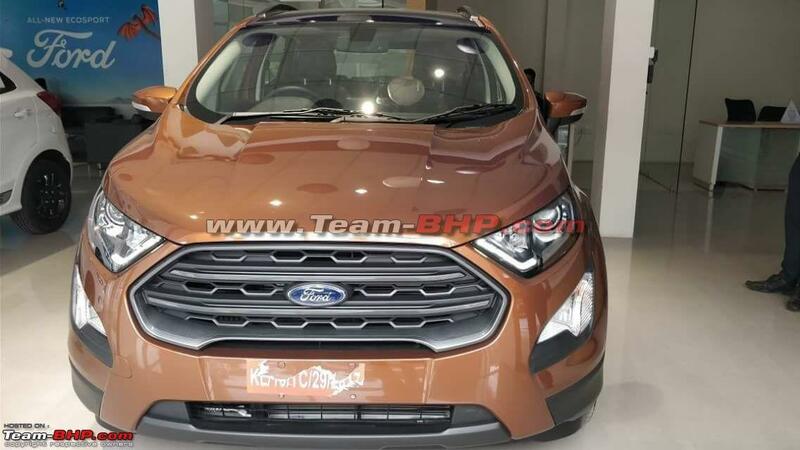 This will bring the Ecosport in the territory of the likes of Hyundai Creta. With new Creta also speculated to be launching soon, we can expect some fireworks in the compact SUV segment.